This is the second time since the outbreak began last year that the W.H.O. has declined to issue such a declaration. The first was in October. Some researchers have urged the organization to do so for months; such pronouncements are reserved for epidemics that pose a serious threat to public health and could spread internationally. A global health emergency, they argue, would bring more money and international help to stamp out the disease. The epidemic does not meet the global emergency criteria because it has remained limited to two northeastern provinces and has not reached other countries, the W.H.O. said, even though the affected areas share borders with Rwanda, South Sudan and Uganda. 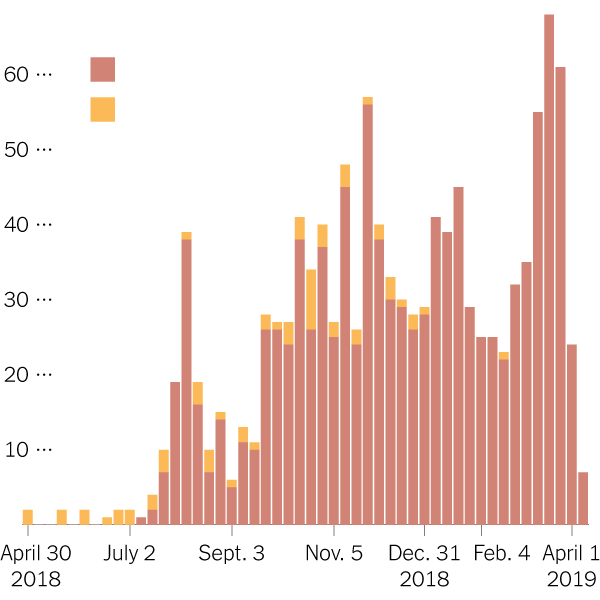 Now in its eighth month, the outbreak has sickened 1,206 people and killed 764 as of Wednesday, the W.H.O. reports. 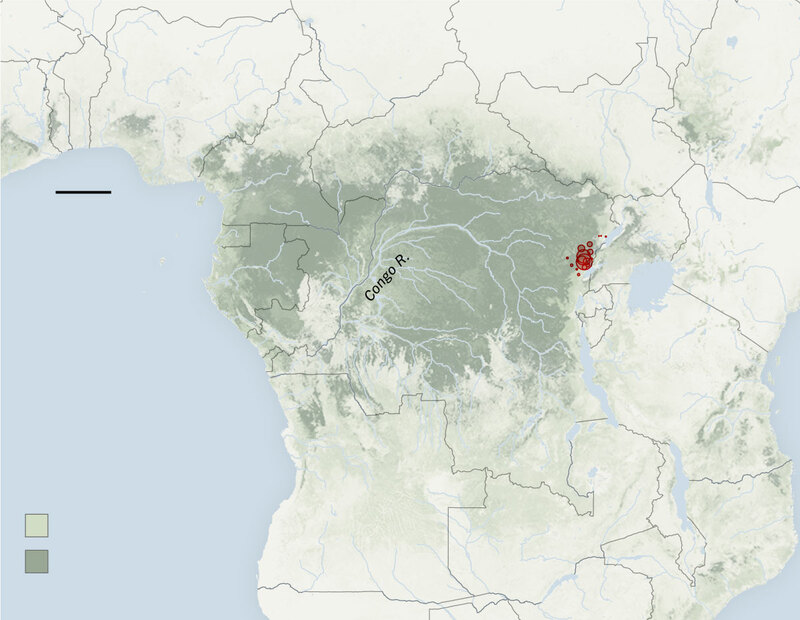 The affected provinces, North Kivu and Ituri, are a conflict zone, rife with armed militias. There have been multiple attacks on treatment centers by unknown assailants. 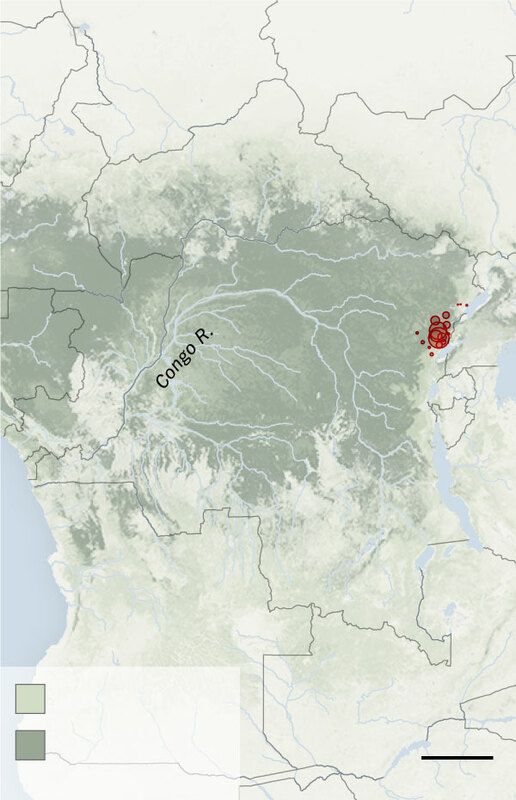 Reported cases in the Democratic Republic of Congo, as of April 9. During a news briefing about the decision, Dr. Michael J. Ryan, deputy director of W.H.O.’s health emergency program, said that the recent increase in cases actually reflected a positive development: By earning the trust of some communities, medical teams have gained access to areas they had been unable to enter before, and are finding more patients. Some of the anger and distrust stem from the way aid groups have operated, said Dr. Natalie Roberts, the emergency operations director for Doctors Without Borders. She said people in the communities did not understand why those with potential Ebola symptoms like fever, even children, would be isolated for up to 48 hours while waiting for test results, and why those who tested negative might be released without a diagnosis or treatment for their fever, which might well be malaria. Dr. Roberts said the group was changing the way it deals with patients, letting them wait at home for test results, and making sure to address their other health concerns and provide needed information. Her organization is also trying to give patients choices, and allow them to be treated in local health centers rather than Ebola treatment centers if that is their preference. Later, Dr. Nuzzo called the W.H.O.’s decision “unfathomable.” She said using the lack of international spread as a rationale for not declaring an emergency made little sense, because the goal should be to prevent spread. Dr. Nuzzo said there is sometimes hesitation about declaring emergencies, out of concern that the declarations will prompt other nations to impose needless bans on travel or trade that would further stigmatize countries with outbreaks and batter their economies. But she said that there were ways to discourage such bans, and that an emergency declaration should be made strictly on the basis of health concerns, not politics. 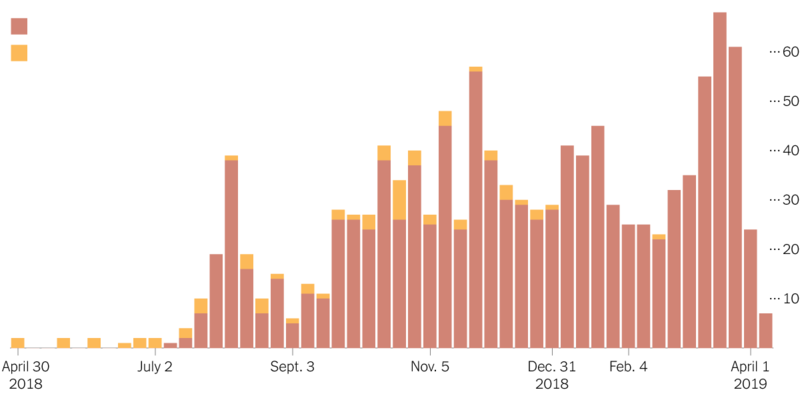 The outbreak is the second largest ever. The deadliest Ebola epidemic occurred from 2014 to 2016, in Guinea, Liberia and Sierra Leone; it sickened 28,610 people and killed 11,308. The W.H.O. faced sharp criticism for its slow response in the early phases of that outbreak..